One big, happy hello from the Kei Kecil Islands in Indonesia! After quite a bit of a break on this blog, we have arrived safely on this gorgeous island. I am so sorry for the long delay in my posts, but as you can imagine, the trip has been extensive. Out here on the Kei Islands, October is the most beautiful time of the year and with my first post from Indonesia I want to take you guys to the most beautiful beach I have ever visited named Ngur Tavur Beach. 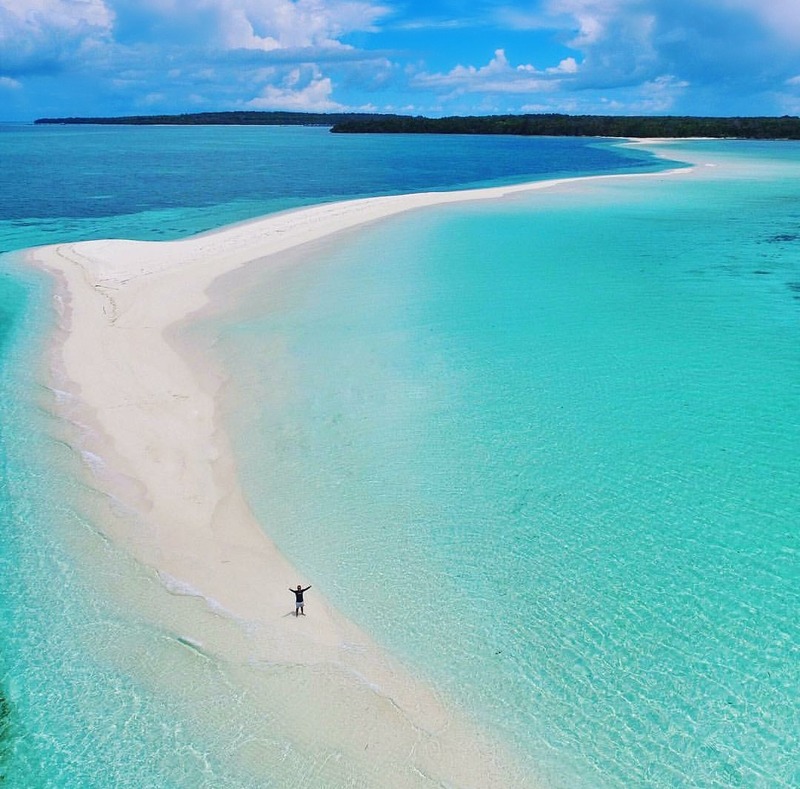 This place is a spectacular 2 mile sandbar stretched right out from Warbal Island into the cristal clear blue ocean and let me tell you the views are out of this world. As you can clearly see, this place is a dream. The whitest sandy beaches and the water is pure heaven. 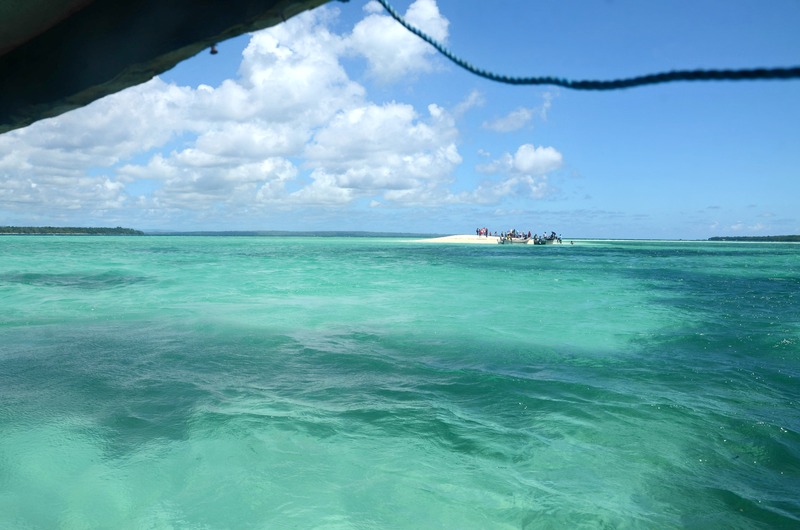 The Kei islands consists of numerous small islands, so Island hopping is another great thing to do out here. Visiting Ngur Tavur Beach was on top of my bucket list and when we got there this place did not dissapoint. Ngur Tavur is just as spectacular in real life as it is in photos. It’s so beautiful I never wanted to leave it. Btw I am wearing the prettiest crochet two piece swimsuit don’t you think? It’s from Triangl Swimwear. I am still adjusting to the hot temps, the numerous musquitos and creepy bugs all over the place, but the beauty of these islands really make up for it don’t you think? I was wearing: Two Piece Swimsuit: Triangl here. I did something fabulous today! I went snorkeling for the first time in my life. Emiel taught me exactly how to do it and he was great at it. At first I thought it was super scary, but after a few attemps I fell in love with it. Wow, a whole new world has opened up to me. I am still practicing of course, but I can’t wait to check out the stunning coral rifs near our islands soon. I will post about my new adventures soon here on the blog of course, you can bet on that. How are you guys on the other side of the world? Stay tuned because new outfit posts are coming up really soon again, thanks for stopping by! "What To Wear For Fall When It’s Hot Out"
"Let’s Pretend It’s Still Summer"